Matthew Piercy was born about 1814 to Thomas Piercy and Mary Henderson. Other family researchers say he was born on 14 or 15 July 1814 in Thornington, County Northumberland on the English side of Scottish border. You won’t find Thornington on Bing or Google maps: it’s just too small. 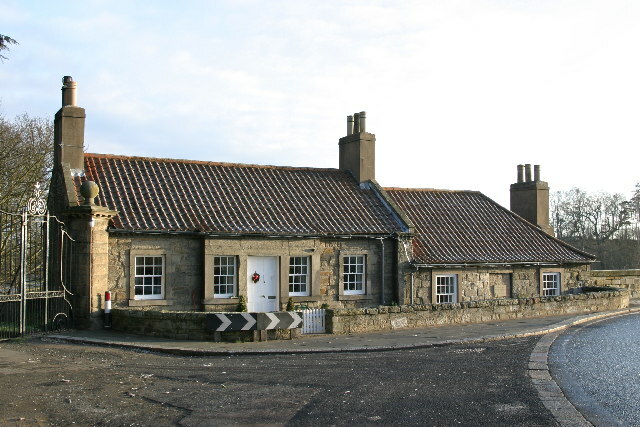 But the Wikipedia entry on the hamlet of Kilham states “On the opposite side of the dale, to the north, are the hamlets of Howtel and Thornington.” And you will find Kilham just north of Northumberland National Park and south of the twin towns of Berwick-upon-Tweed and Tweedmouth. 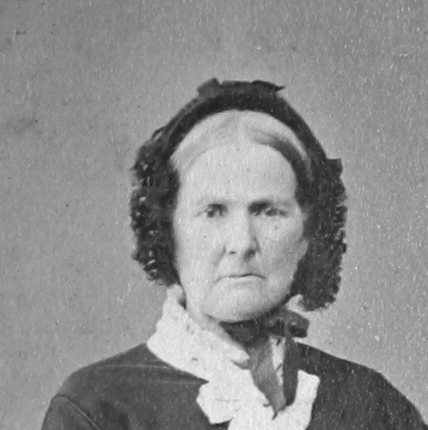 Agnes “Nan” Moffit was born in 1815 to John Moffit and Eleanor Davidson. Other family researchers suggest she was born on 19 October 1815 in Preston, Northumberland near the North Sea coast and about 25 miles from Thornington. Such marriages were conducted for a fee by so-called ‘priests’ who had no qualifications but saw an opportunity to make a lucrative living out of the practice. The most celebrated of them were William Armstrong and William Dickson, the latter marrying no fewer than 1,466 couples over a period of 13 years. It is said that five earls and at least two Lord Chancellors of England took advantage of this legal loophole before the law was changed in 1856. Ironically, the Parliamentary Bill that did this was sponsored by Lord Brougham, a Scot who had been married at Coldstream himself. These allowed them to wed without their parents’ consent, prior public notice or residential qualifications and could lead to ‘runaway’ elopements, sometimes with parents in hot pursuit. At other times the couples’ motive was simply to get married without great expense, publicity or family interference. Matthew and Nan were probably married at the toll house at the Coldstream Bridge. Why would Matthew and Nan rush to wed in April of 1837? The answer probably begins with the New Brunswick and Nova Scotia Land Company. Tools, livestock, grain and more. It was a costly enterprise, and from the earliest days of English settlement in America, the solution for large settlement parties was often a joint stock company, where investors would put up the capital and the settlers were employees responsible to deliver revenue to the investors for a set period of time and, in exchange, earning title to the lands they worked. Individuals, however would come as indentured servants with passage paid by an existing settler in exchange for a fixed period of their labor without pay. The inducement was that the colony would grant the immigrant land for a farm after the indenture expired. This is exactly how the Plymouth settlement was founded, with most of the group employees of a joint stock company, and others indentured servants of those employees. When the New Brunswick and Nova Scotia Land Company was founded in 1831 and chartered in 1834, the structure was a little different, with the intent of selling customers a somewhat pre-built town. The company purchased 589,000 acres of land in York County north of New Brunswick’s colonial capital of Fredericton, and began to prepare two town sites, building mills, homes, and roads, spending upwards of £80,000 (about $94 million in 2010 US dollars). In 1837, the Stanley Land Company—apparently a division of the New Brunswick Land Company—began posting advertisements in County Northumberland to entice local residents to leave their homes, cough up their savings, and board the Cornelius of Sunderland in May 1837 to set sail for a new life in New Brunswick. Matthew Piercy’s parents had decided to pursue the offer and move their entire family to New Brunswick, along with more than 150 others from the rural farms around Wooler, County Northumberland. How John and Nellie Moffit felt about the enterprise isn’t known, but they definitely weren’t passengers on the Cornelius of Sunderland in 1837. If Nan Moffit wanted to marry Matthew Piercy, it had to happen fast, and they sealed the deal less than thirty days before departure. The Northumberland settlers sailed from Berwick-upon-Tweed on 29 May 1837, bound for Saint John. A 7 September 1895 article in the Fredericton Gleaner described the departure. On the Sunday eve. on board of the vessel which was to sail the following morn. from the Carr Rock wharf on the river Tweed, Rev. Ritchie stood on the deck and preached a farewell sermon and committing them to the care of Almighty God. The writer of this, then a boy of six years, with his parents, was on that wharf, listening to the minister’s voice, little thinking he or his parents would see those people again, or that his future wife was on board with her parents, then a little girl also of six years. One passenger—possibly James Nesbitt—kept a journal of the passage. We left Berwick about 10 o’clock on Monday evening 29 of May with a fair wind and ran along with a good pace during the night. 30th and in the morning we came in sight of Life Hills. Many were sick particularly the women, but about 11 o’clock the wind ceased and the ship hovered about without making much progress. 31st we passed Aberdeen in the morning about 8 o’clock and proceeded near to Boughenne and Petterhead. came a contrary wind and what we made in the day we lost at night and a general sickness prevailed amongst us till the 3rd and in the 4th it became calm and we got a good deal better and we were very thankful and sang the praises of God upon the ship’s deck very joyfully but reached no further than Pettershead. The 5th we hovered about making little progress but reached the Calnefs and commenced family worship among us at least in our part of the ship. The 6th we continued we becalmed. The 7th got a good breeze and passed by the town of Catnefs and got through Penthen’d Firth well. The 8th we left the land and entered the Westron ocean and had pleasant sail. The 9th we lost sight of land and got a gale of wind which drove us on at the rate of 200 miles a day for two days. The 11th we on at a slower rate. The 12th still slow and see’d a number of porpoises pass us. On the 13th still slow. The 14th we passed on sharply about 180 miles and saw a great huge fish. The 15th a good sail. 16th the same. 17th a good gale and heavy at night. The 18th a very heavy gale and the waves lashing over the decks fit to drown us all. 19th it moderated. The 20th it came away again and lashed in upon us so that the hatchways had to be put down upon us and covered over with canvas. The 21st a very fair gale. 22nd we passed a ship buoying at anchor fishing on the Newfoundland banks and we sounded and found 30 fathoms. 23rd a contrary wind and made little progress. 24th nearly the same and born a child belonging to Wm and Elaner Grieve upon the Newfoundland. 25th but little way got. 26th nearly the same. 27th contrary wind. 28th still the same. 29th bespook the Pilot London bound for York in Ireland. 30th the spook a ship of Montreal bound for India. 31st a fairish wind. The 2nd rather becalmer. The 3rd still calm and got my foot scalded. The 4th a child was born by Margrateses for it on board. The 5th contrary wind. The 6th the same. The 7th the same. 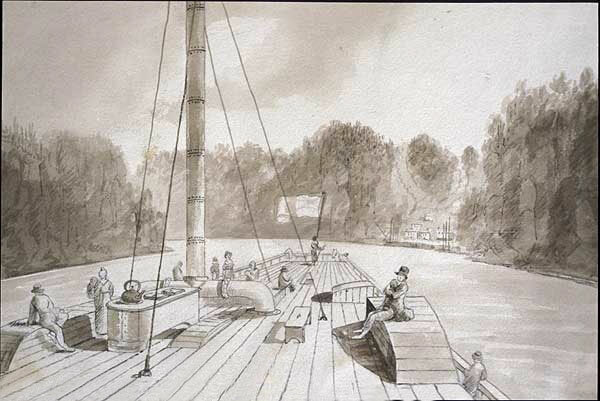 The company spent a night in St. John before boarding the Water Witch, a steamboat which on 13 June 1837 was to carry them up the Saint John River to Fredericton, where they would be met by a representative of the Stanley Land Company. When they arrived in Fredericton, however, they weren’t met by anyone: the Stanley Land Company was insolvent, and the twenty-two families and six individuals had nowhere to go. A young politician, Lemuel Allan Wilmot, had the Northumberland immigrants housed in a newly constructed hospital, and the party immediately petitioned Governor Harvey for assistance. By 19 July 1837, the issue was being debated in the colonial legislature. One faction led by Wilmot advocated for providing the settlers lands at the partial expense of the Crown, while the other wondered why these settlers needed financial assistance when Irish settlers arrived flat broke and could establish themselves without governmental assistance. The full text of a record of that debate is included in the appendix, but the advertisement from the land company was a repeated theme, at one point described as “holding out the most hyperbolical and extravagant inducements to persons to emigrate from Great Britain to this Province.” The conclusion was to provide Governor Harvey the sum of £200 to affect their settlement in York County. The Northumberland settlers were granted lands about 30 miles southwest of Fredericton near the route of a road currently under construction that would connect Fredericton with St. Andrews on the Passamaquoddy Bay (probably today’s Route 3). Matthew and Nan received Land Grant #14 West—a 50-acre property abutting the planned route of the Fredericton-St. Andrews road, with the option to purchase another 50 acres from the Crown when funds were available. But even the initial grant wasn’t free: Matthew would eventually need to pay two shillings, six pence per acre—by April 1843, he was still in debt to the Crown. In August, the entire company began clearing trees and constructing shelters under the supervision of an expert in backwoods settlement appointed by Governor Harvey. By the winter, the settlers had constructed twenty-one log houses and cleared about 1.5 acres on each lot. The new town, to be named in honor of Governor Harvey, was taking shape. But the Northumberland party didn’t intend to spend the winter in their newly constructed homes—they had no food store built up for the winter. Instead, they went back to Fredericton, and while some of them would have been able to earn wages with their labor—Matthew Piercy, for example, was a blacksmith—many without such easily transferrable skills had trouble finding employment and faced big financial hurdles. Commissioners Wilmot and Taylor—who had advocated for government assistance in the legislature in 1837—took charge, and secured additional funding to equip the settlers and transport them back to Harvey in April 1848. Additionally, to help Harvey get on its feet, Wilmot and Taylor found them employment constructing the Fredericton-St. Andrews road. The start was rocky, but Harvey was finally on its feet for the planting season in 1848. As the town prospered, more relatives of the initial settlers left Northumberland to join their kin in the New World—including Agnes’ parents, John and Eleanor Moffitt in 1853. 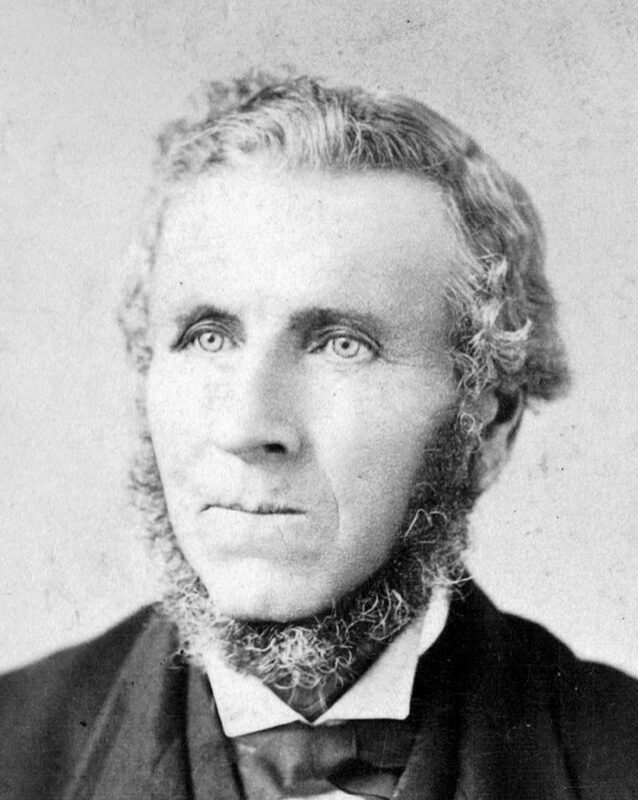 Thomas Harvey Piercy (1838 to 1904), who married Jane Speedy and had seven children. John Piercy (1840 to 1917), who married Mary Ann Acheson and had nine children. Eleanor Ellen Piercy (1842 to 1925), who married James Lister and had eight children. Mary Ann Piercy (1845 to 1911), who married Edward Lister and had nine children. Jane Piercy (1847 to 1933), who married Harry Swan and had seven children. Matthew Henry Piercy (1851 to 1909), married Mary Graham and had three children. Isabella Piercy (1853 to 1915), married Joseph McFee and had six children. Samuel Johnson Piercy (1855 to 1914), married Isabella Grieve and had ten children. Elizabeth Piercy (1857 to 1872), who died at age 14. Walter Henderson Piercy (1860 to 1892), married Annie Cowie and had five children. Agnes Piercy (1863 to 1936), who married John Berkeley and had eight children. She remarried William Grieve in 1909 after John Berkeley passed away. Matthew and Nan stayed in the Harvey area until 1875—the 1861 and 1871 Canada censuses showed them living in Manners-Sutton parish near Harvey. In 1875, Matthew (61) and Nan (60) moved their entire family—excluding four married daughters who remained in New Brunswick—3,500 miles to Vancouver Island. While the area had been explored, possibly as early as 1579 by Sir Francis Drake, Europeans didn’t move to the area in large numbers until a series of gold rushes—starting with the Fraser Gold Rush of 1858—led to an explosion in the population. In 1871, British Columbia became the sixth British colony to join the Canadian federation, which had only been founded in 1867, partly out of fears of invasion from the massive Union Army after the end of the US Civil War. When Matthew and Nan had arrived in New Brunswick, the best farmland had already been claimed. But British Columbia was virgin territory. While the couple couldn’t have expected to live more than another decade, the opportunity for their many children to take their pick must have been compelling. Most of the adult children who made the move to Vancouver Island soon found spouses and farms, but the couple’s youngest sons, Samuel and Walter, helped Matthew establish a farm on “Oak Hill” where the couple who spend the remainder of their lives. Nan passed away 7 April 1886 at the age of 70. Matthew followed a few years later on 28 February 1889. Among those Irish immigrants to New Brunswick were Catherine Buckley and James Brown, whose descendants include Anne, Michael and Quinn O’Neill. But the Speaker’s assertions about the success of Irish immigrants were an exaggeration. Much of the best and most easily accessible farmland in New Brunswick had been claimed decades earlier by Loyalist refugees from the thirteen colonies. Many Irish immigrants to New Brunswick didn’t stay long, either moving south to the United States, or west to Quebec and Ontario, as James and Catherine Brown did.